Do you know that the term ‘Gravatar’ is an acronym for Globally Recognized Avatar? Do you own a Gravatar Account? In this post, we will discuss How you can Create Gravatar Account with the detailed Gravatar Account Sign Up process. Why use Gravatar in WordPress? How to Setup Gravatar account in WordPress? and How to Remove Gravatar Account from WordPress? I will also take you through, how to sign up for Gravatar Account and how you can setup Gravatar Account in WordPress? But before digging into the details, first, we need to understand What is a Gravatar and how Gravatar works? What is a Gravatar and how do Gravatar works? Globally Recognized Avatar or Gravatar is an online service developed and supported by Automattic. The Gravatar service is freely available for business, individual users, web developers, blog or website owners and for anybody who wants to use it. Have you ever notice an image, which appears with the author name or commenter name on any website or on any article? And his or her similar images appear on various blogs or websites? As my photograph is appearing in the author box at the end of this article (scroll down to see). This image is called an Avatar. Avatar image is an online identity for the individuals or business. That image will appear on any website or platform which support globally recognized avatar, when you use the same credentials (i.e. email of your Gravatar account), to interact with websites/platform. So, to use your picture as an Avatar, you need to create Gravatar Account. You can simply visit the Gravatar Account Sign Up page to create Gravatar Account. Why should you use Gravatar in WordPress? As I have shared with you earlier that, Gravatar is a free service started by Automatic in the year 2007. As you might know that, Gravatar it is a widely accepted service in the internet domain. 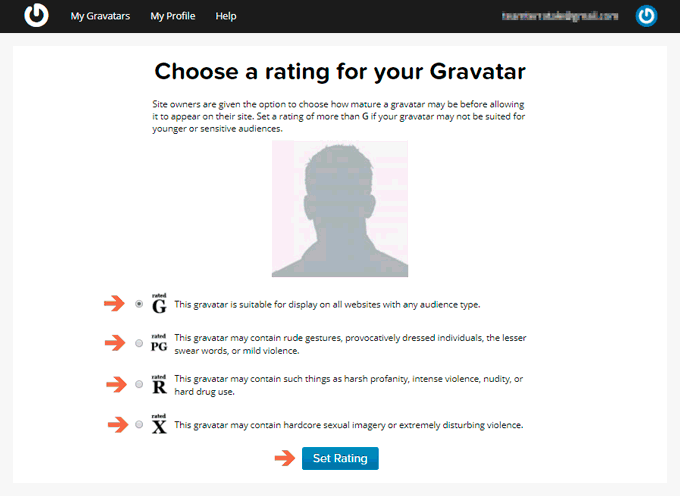 Many of the popular websites, blogs and forums support Gravatar service. Sites build on WordPress platform comes with a default integration of Gravatar Account. Gravatar image will follow you from one website to another and will appear with your name. It will help visitors to identify you by your avatar image on the posts or pages you have created, in the comments, you have written on various blogs, websites, and forums which support Gravatar. Gravatar is one of the most popular and widely accepted Avatar services in the world. It is quite easy to create Gravatar Account. You don’t need to configure any additional plugin to use Gravatar on your WordPress site. Only have to upload your avatar image once and Your Avatar images will appear automatically on the websites or blogs. 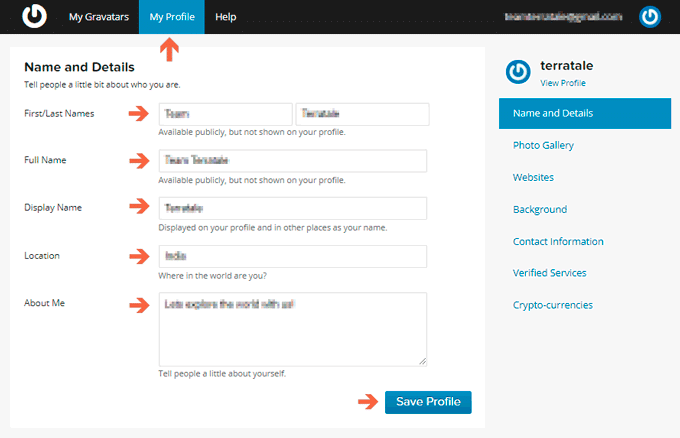 You can manage your Avatar Image and your profile from one place i.e. Gravatar website. If you change your Avatar Image via Gravatar website. Your new Avatar image will automatically get appear everywhere on the internet, where it has been published previously. Okay! We have discussed the Gravatar and why it is important to use Gravatar Account and its benefits. Now, without any further delay, let’s me explain, how to create Gravatar Account through Gravatar Signup page. Before following these steps to create Gravatar Account, there are few things you need to know. If you already own a WordPress.com account, then you don’t have to Sign up for Gravatar account separately. You can activate your Gravatar Account using the same WordPress.com account. Just go to the Gravatar Signup page and Sign in with your wp.com account. 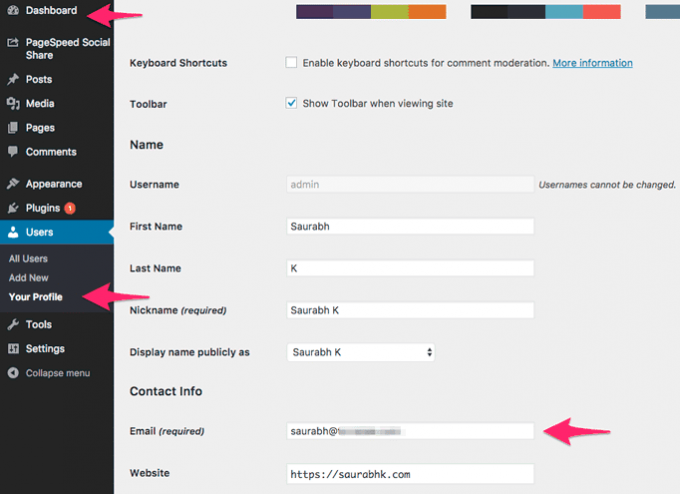 If you don’t have a WordPress.com account, then follow the given below steps. As the Gravatar Service is provided by the Team Automatic, which also owns the WordPress.com and WordPress.org. You need to create a WordPress.com account first, to sign up for Gravatar Account. 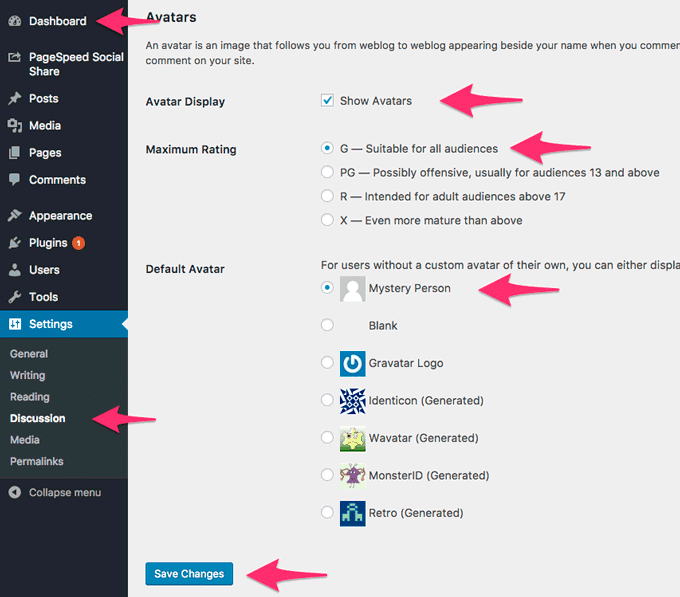 Go to the Gravatar Account Sign up page and Click on the Create your own Gravatar button. Enter your email address, username, and password and click on the Signup button. A page will appear with the information about an email sent to you for confirmation. Login to your email. 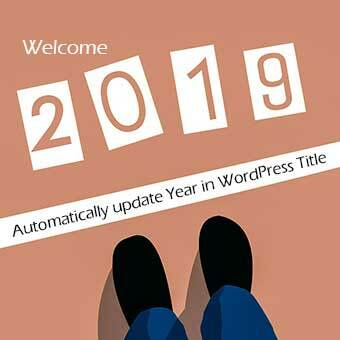 Click on the link you have received in the recent email from WordPress.com. After that, you will redirect to a WordPress.com Account Activation page. That’s’ it, you are done! Now, head over to the Gravatar page and Sign in with your credentials. 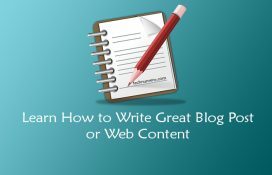 Once you have created your WordPress.com or Gravatar account. You need to Sign in on the Gravatar website and upload your image. Sign in on Gravatar website. Find the ‘My profile’ link in the header, click on that. You will redirect to a blank profile page. Enter your details i.e. Name, location, about me etc. and click on the Save Profile. You will receive a message on the top of the website – Yay! Your profile changes have been saved. You can also customize your Gravatar background and add various account details, like WordPress.com website link, Blogger.com site link, Social media profiles, your email, skype, hangout id, your phone numbers and much more. Sign in on Gravatar website, Go to the My Gravatar link. First time users, will see a message – Whoops, looks like you don’t have any images yet! Click on the Add one by clicking here! link. Click on the Upload New button and upload your image. It will give you the option to crop your image if you want to. Hit the Crop Image button. Now, you will automatically go to a new page, which will ask you to Choose a rating for your Gravatar. Read the instructions about the rating carefully (given on the same page) before clicking on the Set Rating button. Yep! You have successfully setup your image or Avatar in Gravatar. So, I am assuming that you have created your Gravatar profile, setup your Avatar. Now, if you own a WordPress.org website. Let me go through some simple steps to setup Gravatar Account in WordPress. And How you can use Gravatar in WordPress. If you own a WordPress site, you might have familiar with the use of Gravatar in WordPress. However, I will explain a few things to use Gravatar in WordPress site effectively. 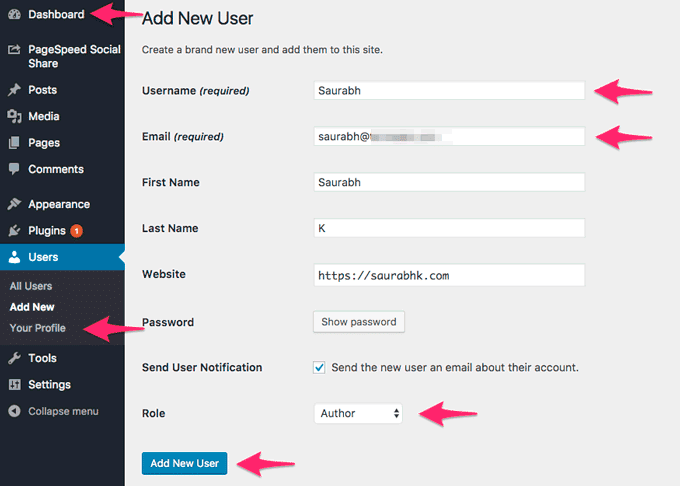 Create a new user account in WordPress using the same email you have used in Gravatar Signup. If you already have a user profile is on your WordPress site, you can simply change the email id to use Gravatar in WordPress site. Yes! Gravatar account works with the same email id across WordPress sites. So, if you are going to comment on any blog or in any forum and wanted to display your Gravatar. You have to use the same email id as credentials which you have used to create your Gravatar Account. Scroll the page down and you will see the Avatar section, as shown in the below figure. And hit the Save Changes button. Done! I believe that till now you might get a clear cut idea about the use of Gravatar in WordPress and how you can create Gravatar Account, and it benefits. As per my understanding, there is no disadvantage to use Gravatar in WordPress site. However, I have noticed few limitations of using Gravatar in WordPress. Use of Gravatar in WordPress will increase your page loading speed – If you are a beginner and run your site on a shared hosting plan, you might notice some performance issues. Because, Gravatar loads Avatar image from their own servers, which increase the no. of connections. Therefore, it is quite possible that there could be serious performance drop in page loading speed if the no. of comments on that page is huge and most of the commenters are using Gravatar Account. Now, you must be thinking that whether you should set up Gravatar Account in WordPress or not. Don’t worry! I have a solution to overcome this limitation. You need to cache Gravatar images on your server, which will reduce the no. of connection and increase page loading speed. Here is a tutorial you must read on How to Cache Gravatar Images in WordPress. There is another method, usually, I don’t recommend this method, and however, you may explore the same if you want to. You can use the default images available in the WordPress, instead of using a Gravatar Image to reduce the no. of connection. As a result of that, you will notice an increase in page loading speed. But then, there won’t be any sense of using Gravatar Account in WordPress. Right! How about removing Gravatar Account from WordPress completely. Yes! Gravatar Account in WordPress comes as a default integration, but you can disable or remove Gravatar Account from WordPress as well. And if you decide to do that, you can upload the image to your server and can use the same as local Avatar instead of using a Gravatar. But, again there is a limitation, you can change and only use Author/s Image from the web server. All the commenters Avatar images will display as a default image, whichever you will set up. To Remove Gravatar Account from WordPress and to upload and use your own images via Media Library of your WordPress site. You need to install and activate the WordPress plugin called WP User Avatar and follow the instructions as shown in the given below image. I always recommend people to use Gravatar in WordPress. But, because of its limitation, I suggest to use it wisely. You must Cache Gravatar Images and Lazy load Gravatar Images on your page. This solution is especially relevant for the beginners, whose websites are hosted on shared hosting plans. Here is a complete guide to Lazy Load Images in WordPress. Hope you are now comfortable to Create Gravatar Account and How to use Gravatar in WordPress. Do let me know if you have any query or suggestion. I would be happy to help! You might find these article relevant. See what are other people reading? I love this article. Great information about Gravatar. 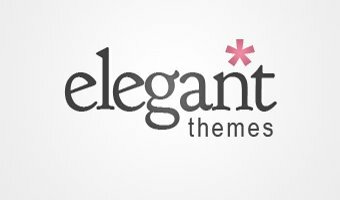 You are here: Home / WordPress / How to Create Gravatar Account? & Why use Gravatar in WordPress?